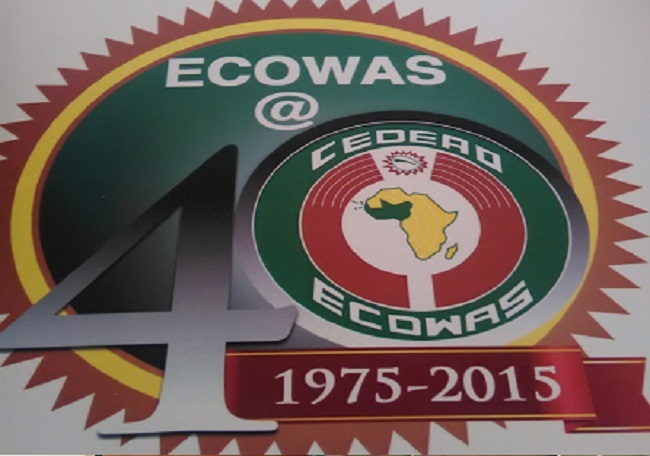 Nigeria celebrated the 40th anniversary of the Economic Community of West African States (ECOWAS) Monday by paying homage to the founding fathers and reflecting on the achievements and challenges of the regional body over the past four decades. The event, whose theme was “Nigeria, ECOWAS Celebrating The Economics of Unity,” and held in the Nigerian capital, Abuja brought together an array of Nigerian luminaries, including one of the founding fathers of ECOWAS, former Nigerian Head of State General Yakubu Gowon, senior government officials of the Nigerian Government, officials of ECOWAS and diplomats. Keynote Speaker, former Nigerian Foreign Minister Professor A. Bolaji Akinyemi paid particular homage to the late Liberian President William V.S. Tubman for his initial proposal in 1965 to form a West African Economic Community with Cote d’Ivoire, Guinea and Sierra Leone. In this respect, General Gowon, told participants that the formation of ECOWAS should not just be attributed to him (Gowon) and former President Gnassingbe Eyadema of Togo, as usually done, but to all the fifteen West African Heads of State who signed the Treaty of Lagos to establish ECOWAS on May 18, 1975. Referring to them as ‘founding fathers, he noted that their full cooperation led to the regional economic bloc’s decades of existence today. He also attributed ECOWAS’ success to the strong will-power of its leaders. Other speakers praised Nigeria’s enormous contributions to ECOWAS including its leading role in ECOMOG, the peace-keeping force which successfully restored peace to Liberia and Sierra Leone, and Nigeria’s current interventions in Mali and Guinea Bissau. ECOMOG’s interventions in Liberia and Sierra Leone were the first time a regional African body imposed peace through military means. This subsequently encouraged ECOWAS leaders to revise the 1975 Treaty to include political matters that widened the scope of regional integration. In welcome remarks, Nigerian Minister of State for Foreign Affairs II, Senator Musiliu Obanikoro, reiterated his country’s commitment to ECOWAS by hosting of three important institutions of ECOWAS: the ECOWAS Commission, the ECOWAS Parliament and the Community Court of Justice. For his part, the Foreign Minister Ambassador Aminu Wali extolled ECOWAS as a pace-setter in the integration agenda which he said is manifested in the democracy, peace and security areas. The Nigerian foreign minister remarked that the adoption and use of a common passport and a visa-free regime made possible by the ECOWAS Protocol on Free Movement of Persons and Goods, the right of residence in member states and recently the Common External Tariffs by should set the regional body above others in Africa. Also speaking, the President of the ECOWAS Commission Kadre Desire Ouedraogo said the formation of the regional economic body was born out of the realization of the founding fathers that the domestic markets of the individual member states were not big enough to compete in the world market including large trade blocs like the European Community at that time. Mr. Ouedragogo noted that inspite of all the achievements, more work remains to be done.